Value Management is not simply a training course, but a value adding, innovative thinking methodology that equips one with much needed creative decision-making and group interaction skills. The programme contains techniques for cost optimisation – product / process / system design & improvements – procurement – customers interacts – industry forums – team building (with strategic focus/alignment), whilst overcoming problems associated with people, be they engineers, accountants, sales people, customers, suppliers or anyone requiring creative solutions for difficult problems. This dynamic methodology focuses the collective wisdom of a divergent group, where the process enables them to systematically define common objectives, functionally prioritising what needs to be done and then creatively identifying how best to achieve the desired results. The unique and paradoxical combination of functional focus & creative thought will ensure that you are equipped to manage projects successfully. 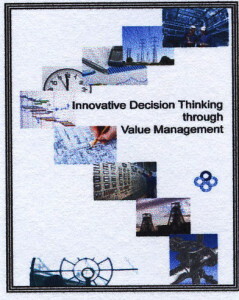 Value Management is based on the principles of the Value Engineering Methodology. 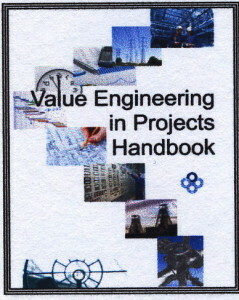 An introduction to the advantages & applications of Value Engineering and Value Management with the objective of achieving; reduced costs, increased profits, greater value, team working, increased time savings, simplified procedures, improved resource usage, decreased project and future operation & maintenance costs. 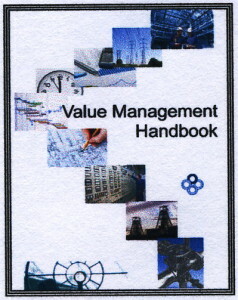 Included are the principles of Value Management, VIP’s and Project Risk Assessments. Learners will be able to understand when and how to apply Value Engineering within Engineering & the Project Management process. The Value Engineering & Value Analysis short learning programme is all about understanding the advantages & applications of Value Engineering; understanding group dynamics to get the most from your team; to obtain techniques to assess the relevance of information gathered in order to identify core problem areas to be addressed through your Value Engineering task; defining the problem to be examined in order to ensure valid information is collected; defining Functional significance; apply tools for designing cost effective Solutions; & learn how to implement a Value Engineering driven assignment. 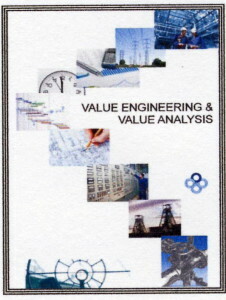 Value Engineering is the decision-making methodology. Value Management principles plus FAST diagram and Function / Cost Analysis are the main areas of learning and since an extra day is spend in the learning environment, it allows for more practical applications. Introduce the Value Engineering methodology as applied in project & operational management applications. Apply the Value Engineering methodology to products, systems & processes and strategic decision making. Engineers, Technicians, Project Manager, Project Engineers, Programme Managers, Project Support. Innovative Decision Thinking through Value Management (IDT) is not simply a training course, but a value adding, innovative thinking methodology that equips one with much needed creative decision-making and group interaction skills. The programme contains techniques for improving designs, processes and productivity whilst overcoming problems associated with people, be they engineers, accountants, sales people, customers, suppliers or anyone requiring creative solutions for difficult problems. This dynamic methodology focuses the collective wisdom of a divergent group, where the process enables them to systematically define common objectives, functionally prioritising what needs to be done and then creatively identifying how best to achieve the desired results. Understanding the significance of how changes in customer expectations, how technologies and processes affect present and future business practices and product designs. Defining functional requirements (the what’s) of a system, product or process in order to establish, & prioritise, the ‘life cycle’ value drivers. Applying creative thought processes (the how’s) enabling ‘out of the box’ thinking whilst maintaining required functional integrity & quality. Ensuring that the best choice solutions are adequately measured, evaluated & recommended for maximised value to the organisation. All decision-makers that have an impact on cost, from initial concept to hands on operations. To serve as a reference to twelve out of the ordinary project best practises that are designed to improve cost, schedule or operational performance of a capital project. To provide an overview of the key principles involved, and essential elements of a structured approach to value improving practises (VIPs) which apply to all development stages of a capital project. To promote the use of value improving practices. To set out the minimum extent of best practice associated with value improvement. This document; sets out the applicability / appropriateness of VIPs on capital projects and provides a basis for measuring the value added to projects by VIPs. The standards set out in this document are considered applicable to all capital projects. Capital projects that are subject to IPA independent review, will be required to demonstrate compliance. 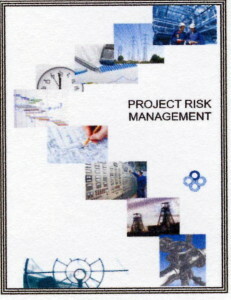 The methodology described in this handbook allows for the application of Project Risk Management for small and large project including Enterprise / Strategic Risk Management. recognises that risk management is an integral part of good management and of execution planning.